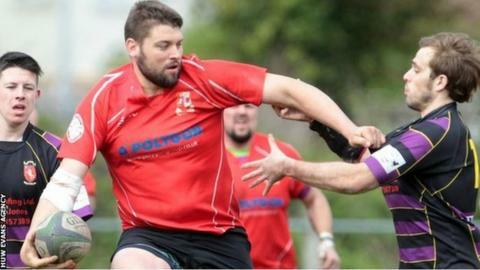 The Welsh Rugby Union has removed play-offs from the Swalec Leagues - the tournament for community clubs. Instead promotion and relegation below and into the third-tier Championship will be automatic from 2015-16 onwards. The move comes following a restructure ahead of the 2014-15 season. That revamp was among issues that led to an extraordinary general of the union meeting in June, 2014 at which WRU board members survived a vote of no confidence. A majority of WRU member clubs later voted in favour of the league restructure, and a further WRU review into the leagues' format has since taken place. From the end of 2015-16 four teams will be automatically relegated from the Championship and an equal number promoted. Relegation and promotion will also be automatic in all the lower leagues that are divided geographically throughout Wales. National leagues review chairman Anthony Buchanan said: "The most encouraging feedback we received has been a strong vote of confidence from the clubs for the new league format which means we are now building on a strong foundation." Former Llanelli and Wales prop Buchanan added: "We have encountered some complications in specific areas, but we have come up with solutions which we are confident will now allow the new structure time to settle. "With four league structures feeding into the fourteen club championship it means that we will have a system of four teams up and four down, which represents the wishes of the clubs for a unified system of promotion and relegation."